Almost everybody knows who Richard Branson is, yet very few people know how he became one of the most famous entrepreneurs of our generation. From an early age he ran the school magazine and even had plans to launch a student travel agency when he was only a teenager. Richard Branson started out as a young hippy who decided to (with the help of some friends) open a record store. They called it Virgin as they were all virgins at business. This autobiography tells how with passion, determination and little bit of luck anything if not everything is possible and in his case everything possible has been achieved. 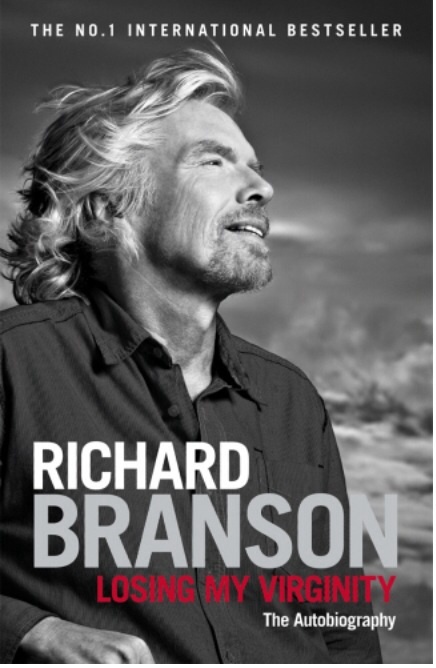 I always love reading the autobiographies of entrepreneurs in general as they are people that I aspire to be so, who better to learn from than Richard Branson! Although he may have made a few mistakes or started a couple of business’ that never really caught on, he learned from his mistakes and always came back for more. From humble beginnings of selling bootleg records under the counter and to owning an airline that is still flying high, despite the incredible legal battle from British Airlines as well as hundreds of other businesses. Losing my virginity is an inspiration for any budding entrepreneur. Previous Previous post: Lockwood and Co. The Hallow Boy by Jonathan Stroud.